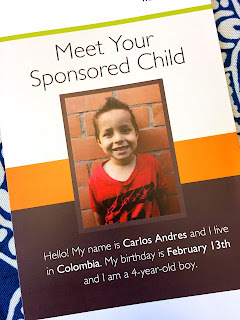 Five years ago, Gerald and I decided to start something new - we wanted to sponsor a child. We'd fallen in love with Costa Rica on our honeymoon, so we picked a little girl from there named Keilyn. I knew most people would probably pick the cute little babies, so I decided to pick an older child. At 11 years old, Keilyn would be entering those always challenging preteen years. I thought it would be wonderful to offer her friendship and support during this phase of her life. Keilyn came from a small family - just her and her Mom, Maria. In a way, it felt like we weren't just sponsoring a little girl, we were sponsoring a whole family. Over the years, we exchanged letters and photos. At Christmas, I would send her a package of small gifts. Through words and images, we watched our little girl grow up. Then, this summer, we got amazing news from World Vision. Keilyn's community no longer needed outside support! They had become fully self-sufficient. They could raise their own food, educate their children, and create their own jobs. Our little girl didn't need us anymore. This summer, we exchanged our final letters with Keilyn, sharing how much we'd come to mean to one another, and how we would keep praying for one another. 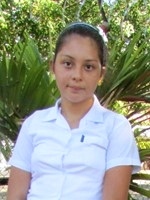 "Because of the programs, my Mother, Maria, was able to go to school. This year, we're going to graduate from high school together." 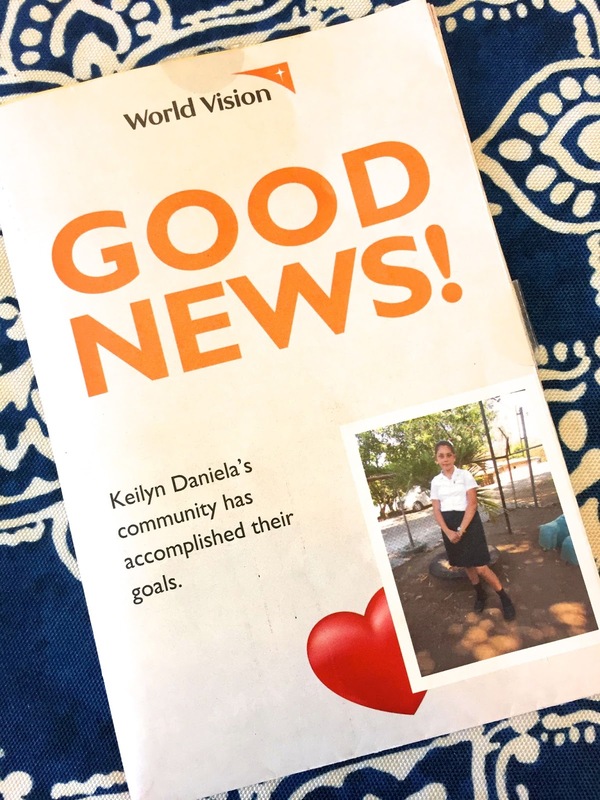 We'd read all the updates about the work World Vision had done in the community, but there was something about this image that made it all seem so realistic and powerful. A mother and daughter, accomplishing this great feat together, ready to change the world. So this fall, we're starting something new: we're sponsoring a new child. This time, we're sponsoring Carlos, a 4-year-old boy from Columbia. Many years ago, I was on a cruise with my parents. It was a glorious week of entertainment, midnight buffets, and exotic day trips. On one of those day excursions, we stopped in Cartagena, Columbia. In the midst of this gorgeous day, we turned a corner to come face to face with a child soldier. He was in a line up with all the adult soldiers. He wore full military regalia, had bullets draped across his chest, and carried a gun the size of my arm. His face was like stone. It's one thing to read about child soldiers, but to see one in the flesh was shocking. Fifteen years later and I can still see his face. It broke my heart because I couldn't help him. But we can help Carlos. 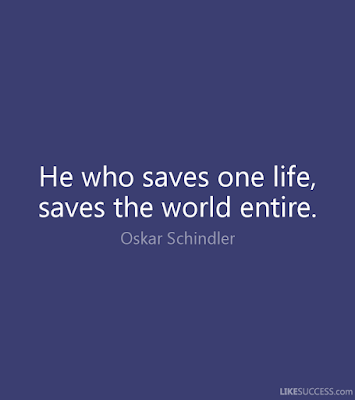 We can give one child a different chance in life. This fall, I hope you'll consider starting something new, and sponsoring a child with us. 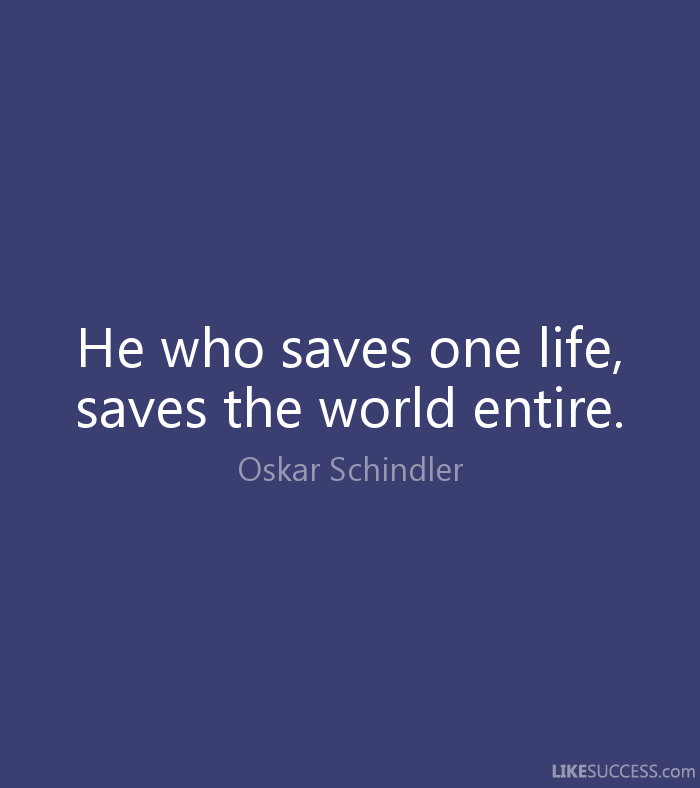 Please contact us to sponsor a child today!